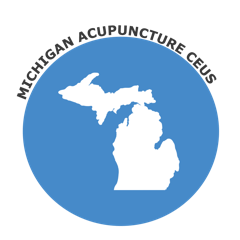 The State of Michigan requires NCCAOM Certification for acupuncture license renewal. Browse NCCAOM PDA or CEU Courses. The process of getting Michigan continuing education credits is simple, convenient, and easy: Download the course, finish the online quiz, and receive a certificate of completion immediately online. You can finish all your continuing education requirements on you desktop, mobile phone, or I-Pad. Reading material are printable. Courses are either in Written format or in a Live webinar. Visit our Acupuncture CEUs page to find out about any other state requirements.